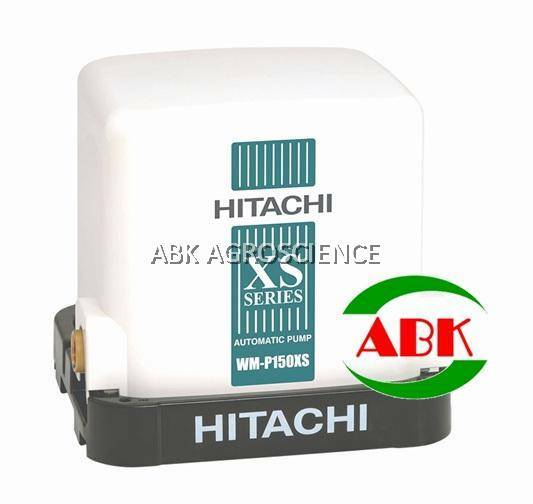 Hitachi 150W Automatic Constant Pressure Water Pump..
No more water pressure worries with this compact-size, high-performance pump. The compact size makes installation more convenient and less space consuming. Most suitable for home use where constant water pressure is desired. .Water Temp Relay temporarily pauses the operation when pump head becomes too hot. This prevents pump head from deforming through overheating. .The tank is made of specially thick steel and coated with triple layers of anti-rust agents. .Tank body made with metallic colour for unique beauty, durability, and extra sun resistance. .Three choices of water output channels mean greater installation flexibility. .The pump, made of bronze, is non-corrosive and rust-resistant.